The Berry Schools write to Miss Morse to inform her that Miss Berry is away from the office but Miss Morse could write again before she comes to see if Miss Berry is back. 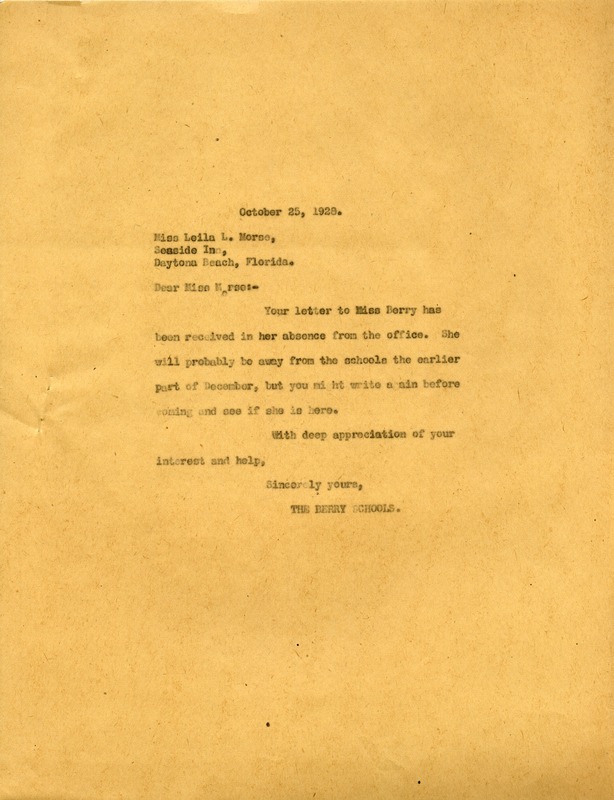 The Berry Schools, “Letter to Leila L. Morse from The Berry Schools.” Martha Berry Digital Archive. Eds. Schlitz, Stephanie A., Chelsea Risley, et al. Mount Berry: Berry College, 2012. accessed April 21, 2019, https://mbda.berry.edu/items/show/8485.